30M Sailing & Motor Yacht suitable for big groups up to 90 passengers. Sound system and variety of music. 2 levels main deck with indoor & outdoor areas & lower deck with accommodation. 9 double, air-conditioned cabins -Suitable for overnight or live-aboard trips in both Jordan & Egypt. Charter transfer - between Jordan & Egypt. 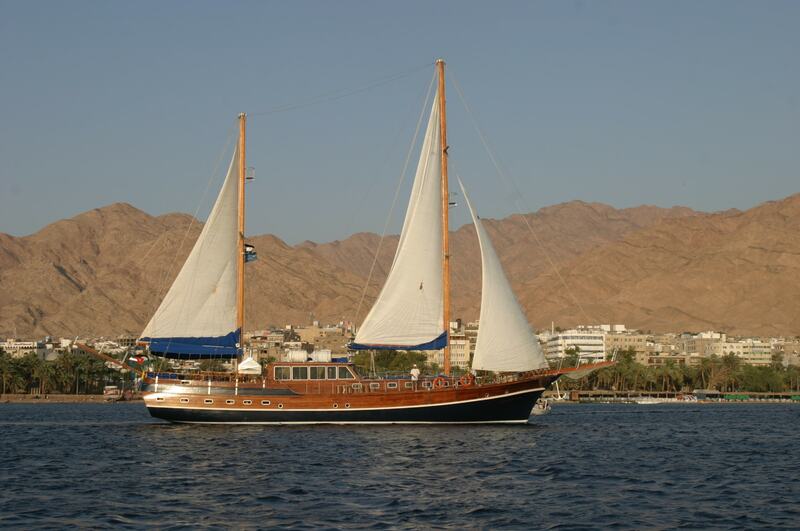 Cruising - Pharaoh’s Island, Regional Waters, Private Cruises, Sunset Cruise, Diving, Snorkeling & Fishing.